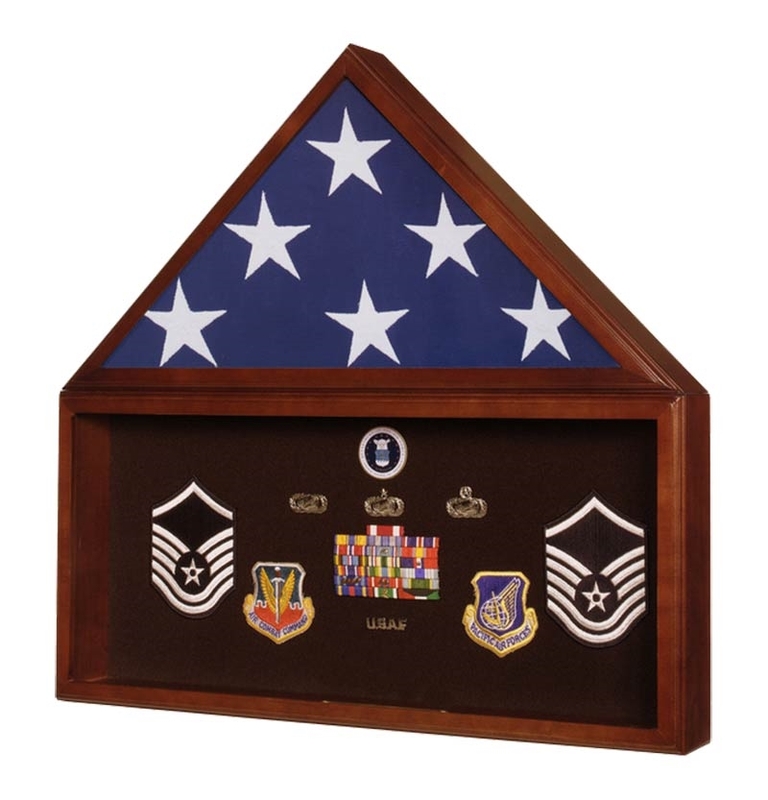 You can proudly display an American burial flag and showcase the awards and medals of your departed hero with this handsomely crafted display case. American made quality and carefully constructed to last for generations to come, these display cases include a free engraved basic brass nameplate. The Flag and Memorabilia Display Case is perfect for displaying a US burial flag and military memorabilia. Crafted from solid walnut with a classic heirloom finish these flag cases have separate compartments - one for a 5' x 9-1/2' flag and the other for mementos.